Representatives of Experi Travel and Realogics Sotheby's International Realty announced today that they will be providing luxury, real estate focused, travel programs for Chinese nationals - now the largest and fastest rising overseas consumer group for Washington State tourism. The all-inclusive trips are designed to showcase the amazing quality of life that the West Coast has to offer Chinese homebuyers and a financial safe harbor for investors. Experi will deliver world-class tour operations and affiliates within the Sotheby's International Realty network will be tapped to offer market intelligence while accessing the finest available real estate offerings in these highly desirable markets. "We are honored to mark the special occasion of President Xi's visit to the Pacific Northwest by announcing this unique initiative, combining both a luxury travel experience and the opportunity to explore extraordinary residential real estate opportunities in Seattle, San Francisco and Los Angeles," said Dean Jones, President & CEO of Realogics Sotheby's International Realty. "We know this demand already exists. We are excited to partner with leaders in the private travel industry while delivering the program in Mandarin with the appropriate cultural considerations and conveniences." Jones says specialized travel is already established with medical tourism, cosmetic tourism, eco-tourism and university tours. "Why not real estate tourism?" he asks. The luxury travel programs will be eight days long and will debut in November 2015. In addition to touring pre-selected real estate properties, each guest will enjoy specialized shopping excursions for high-end products (fashion, artwork, automobiles, etc.) through a network of local luxury brand partnerships. Guests will also experience special behind-the-scenes access to events, educational opportunities and fine dining during their stay. "Experi has always provided our guests with meaningful and exclusive shared travel experiences, and now with Sotheby's International Realty's incredible properties, we offer a once-in-a-lifetime trip for many to see what makes living in these top-tier West Coast cities so special," said Rob Rector, Founder and President of Experi. Rector says interest in travel to the US, and Seattle in particular, has increased since China's 2013 box office hit, "Beijing Meets Seattle" (or "Finding Mr. Right), which highlights a fairytale lifestyle in Seattle. "Then Obama's Administration expanded the multi-entry visas for Chinese Nationals from one year to ten years, which effectively opened the US as a top travel destination and second home marketplace," he said. Commercial flights on the trip will be offered by Hainan Airlines internationally and Alaska Airlines domestically, however private aviation charters are also available through Experi. Fairmont Hotels will be providing the five-star accommodations in each city. About Experi (http://www.experi.com): Bainbridge Island based Experi is a leading international tour operator providing high-end travel programs for small private groups throughout the world. Experi believes traveling together to the world's best destinations and focusing on unique, once-in-a-lifetime experiences together creates life's most meaningful moments. 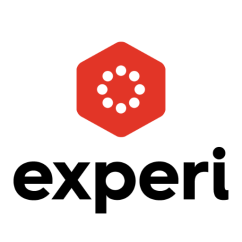 Contact Experi at Info@Experi.com. About Realogics Sotheby's International Realty (http://www.rsir.com): With branches in downtown Seattle, Bainbridge Island, Kirkland and Issaquah, Realogics Sotheby's International Realty is recognized among the fastest growing private companies in Washington State and is a top ten largest real estate brand in Washington. The firm already features a specialized "Asia Desk" service for overseas clientele.